Temple Nile Casino is the latest brand of White Hat Gaming Limited based in Malta. The experienced company has been active in the online gaming industry for years. It has already opened online casinos such as Casimba, Dream Vegas Casino, Spin Rider or Grand Ivy Casino. All casinos have a excellent reputation due to the great selection of games and an outstanding service which also includes fast payouts. 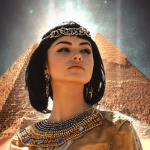 We can therefore recommend the Temple Nile Casino without reservations. It has a Malta license and a UK Gambling Commission license. If you want to redeem one or all available bonuses, you have to deposit at least £20. 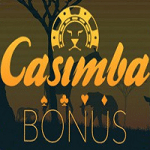 The bonus and the free spins can be played immediately after the deposit. The winnings from the free spins are additional bonus money which will be credited to your player account. You can register at the Temple Nile Casino from your desktop computer, tablet and smart phone. All bonuses, free spins and services are available to you from all devices. Temple Nile Casino is a state-of-the-art online casino. It offers a variety of great games providers with slots, table games, poker games and live casino games. Many slots comes from Netent, Microgaming, Play’nGo, BluePrint Gaming, Red Tiger Gaming, Merkur Gaming and Leander. Most of them are also available in the mobile casino. This includes for example Book of Dead by Play’nGo, Berry Burst Max by Netent, Cash of Kingdoms by Microgaming, Trick ot Treat by Leander or the Buffalo Rising by BluePrint Gaming. In addition to these well-known providers, the Temple Nile Casino also offers less famous games developers in its selection. These include, for example, Mutuel Play, Game Dev, Foxium, Concept Gaming, Spike Games or Genesis Gaming. The Live Casino, on the other hand, comes from the two well-known providers: Netent and Evolution Gaming. Thus, you can expect a very good selection in the live games. In addition to the classics Roulette, Blackjack and Baccarat, there are several Poker variants and Red Tiger. Payouts are very fast at Temple Nile Casino – as quick as at its partner brnads. Your payouts are processed very quickly by Support Team and released without delay. Thus, with Neteller, Skrill and EcoPayz you can even get your money on the same day. Alternative payment methods like credit cards or bank transfer take between 3 and 5 days longer. For depositing, you can also use Paysafe and various instant transfer options.